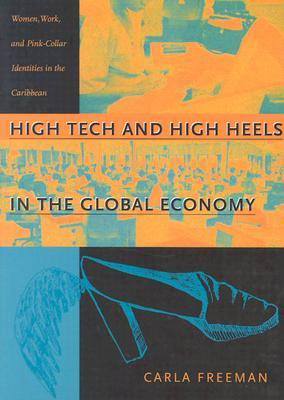 Carla Freeman’s High Tech and High Heels in the Global Economy (2000) is described as an “ethnography of globalisation positioned at the intersection between political economy and cultural studies”. 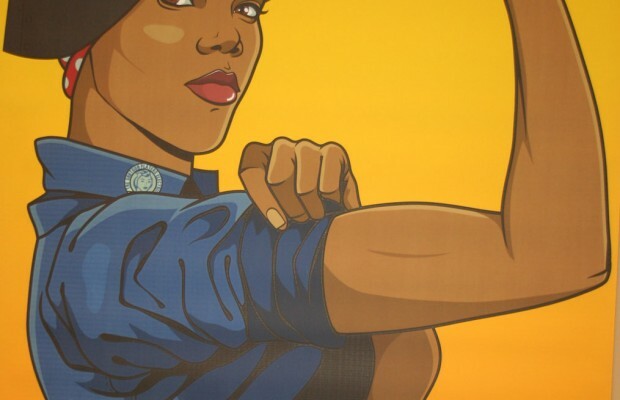 Don’t be scared off by this heavy description—chapter one opens in the Barbados Harbour Industrial Park, where ‘minivans with open doors are parked tightly’ and women are ‘proudly dressed in suits and fashions that identify them as “office” workers’. With the symbolism of high tech and high heels firmly in place, Freeman’s text introduces the jargon. The above excerpt is from Amanda Domalene Haynes’ review of Carla Freeman’s High Tech and High Heels in the Global Economy: Women, Work and Pink Collar Identities in the Caribbean, this week’s addition to the Fresh Milk Books Tumblr – the online space inviting interaction with our collection in the Colleen Lewis Reading Room. For new Critical. Creative. Fresh reviews every week, look out for our #CCF Weekly posts and see the great material we have available at Fresh Milk!